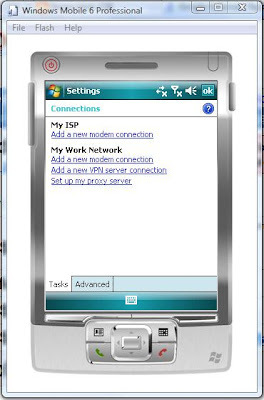 I want to be able to set a connection's 'Connect To' option (i.e. Set it to 'Work' instead of 'The Internet') Can I use a method similar to the process you have laid out to accomplish that? I see Anonymous' comment everywhere and no place do I see an answer. Here it is ignored and on the MSDN web site it is the same (see my link below). 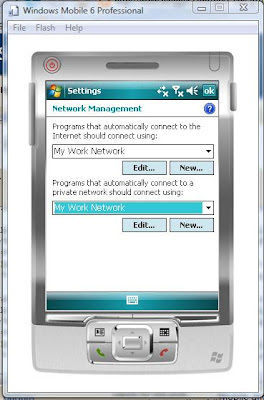 I need to not only set the APN on "My Work Network" or whatever one we create with the Provisioning XML - I need to set that one as the default for both for both Internet access and enterprise access. I created a network using characteristic type="CM_Networks", and a connection for it using characteristic type="CM_GPRSEntries". It works beautifully! But now what I'm trying to do is to make that network the default network for "Programs that automatically access the internet." I've been trying the CM_Planner characteristic_type="PreferredConnections", but it's not working. Can you help? Setting all connections to My Work Network!!! 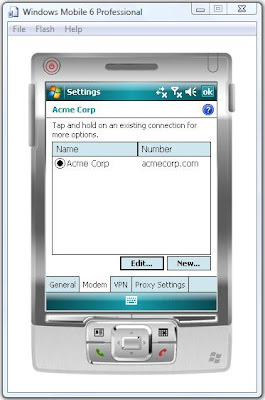 This is has been a problem with the Windows Mobile operating system for at least six years. 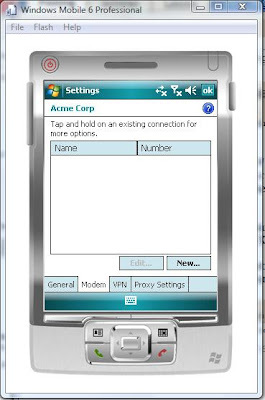 If I ever meet the guy who designed (or is in charge of) the Win Mobile connection manager, I swear I'm going knock him out. 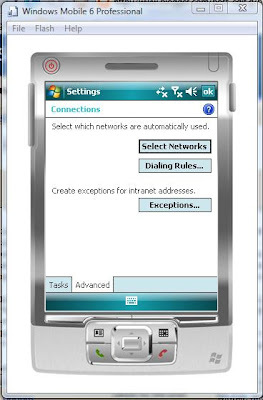 The problem that we run into is that IE and other apps sometimes will not connect to anything. We get the "Cannot Connect with current connection settings." alert box. 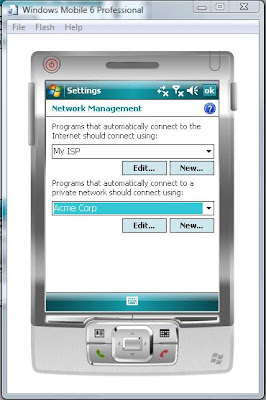 If this happens, we usually have to hard-reset the device to get IE to work again.